1- Using other trainers exercise videos. 2- Using your own YouTube hosted exercise videos. Here's how both of these can damage your online personal training business. 1) Linking to, or embedding someone else's video. When you embed or link to another persons video on YouTube the owner of that video now has huge control over what your client sees inside your training programs and app. They can put in annotations, writing, links and advertise anything they want, including their own programmes. Obviously your clients looking at someone else's video with adverts for their programmes it's not a great thing to have inside your own app. … Even worse, if these trainers are persuasive marketers (they don't even need to be good trainers here) you may well lose your clients to them. On top of this the owner of the video can decide at any time to allow adverts from any other businesses. They can also allow other videos to show up inside your chosen video stream, or, as suggested videos at the end of your chosen video, this can create huge distractions for your clients which is probably the last thing you want for them midway through a training session. It doesn't take a rocket scientist to see how unprofessional this could make you look through no fualt of your own..
2) Using your own videos. Mid program exercise demos should be short. Linking or embedding very short YouTube videos will kill your YouTube channels ranking power. I wrote an article about ranking factors for YouTube here . The big ranking factors to focus on in this situation are the time someone you direct to YouTube spends on YouTube and the average time someone spends watching your videos. These are huge factors for YouTube. Adding a collection of 10-15 second exercise videos that take your clients to YouTube and then bring them straight back to your app is a massive negative for your channels ranking power. Ranking content videos and demo videos high on YouTube is one of the easiest ways to get a consistent flow of new online clients. Removing this opportunity would damage your ability to get new online clients. YouTube is owned by Google so a weak YouTube channel could also damage your Google rankings. As a side note, in this scenario you still have to make your own videos and upload them to YouTube. This takes longer than adding them directly to PT Distinction. If you already have exercise videos on YouTube that you would like to add directly to PT Distinction this article shows you how to do it. 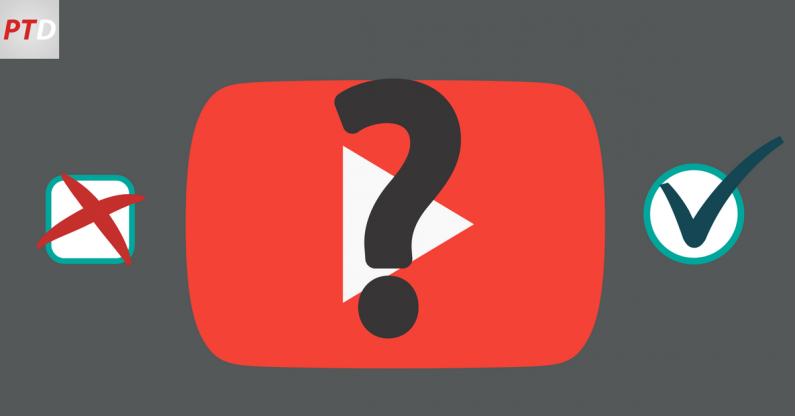 When you should use YouTube videos to grow your online businesses. There are occasions when embedding YouTube videos is a good thing for you and for your business. Embedding or linking to longer YouTube videos in a blog post is a fantastic idea because Google owns YouTube and Google loves the fact that you would share YouTube videos on your website. This means your website will get much better Google rankings which results in more people finding you and your website. Putting links to your longer YouTube videos in your app messages or emails is also a fantastic thing to do. Sending people to your video content on YouTube will get more views. If your content is good this will create more watch time, more total time spent on YouTube from your links, more likes and more interaction. All of this means a big boost for your rankings and the power of your channel. A good idea here is to create engaging content that keeps people watching and put your videos into playlists. When adding links to your blogs or emails send the links of the videos within the playlist. This means at the end of your video viewers get taken to the others on your playlist rather than selected videos from other people. If an exercise video you want is missing from our library I know it would be convenient to link to videos in YouTube rather than create your own or ask us to create new ones for you. However, it genuinely can be bad for the long term growth of your online training business and for your reputation. This is why team PT Distinction take requests any time, film new exercise videos every month and put them up on our platform for you to use. It's also why we allow you to add your own videos with no extra cost or limits on data. Your success is the most important thing to us and we build our reputation on that.